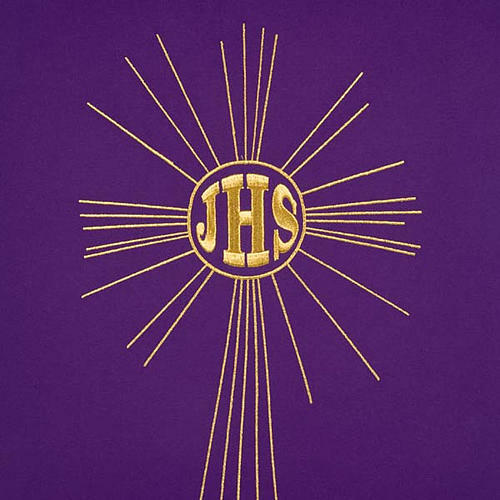 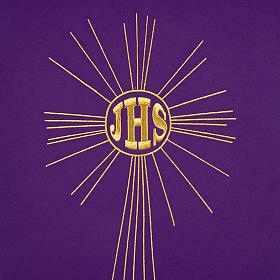 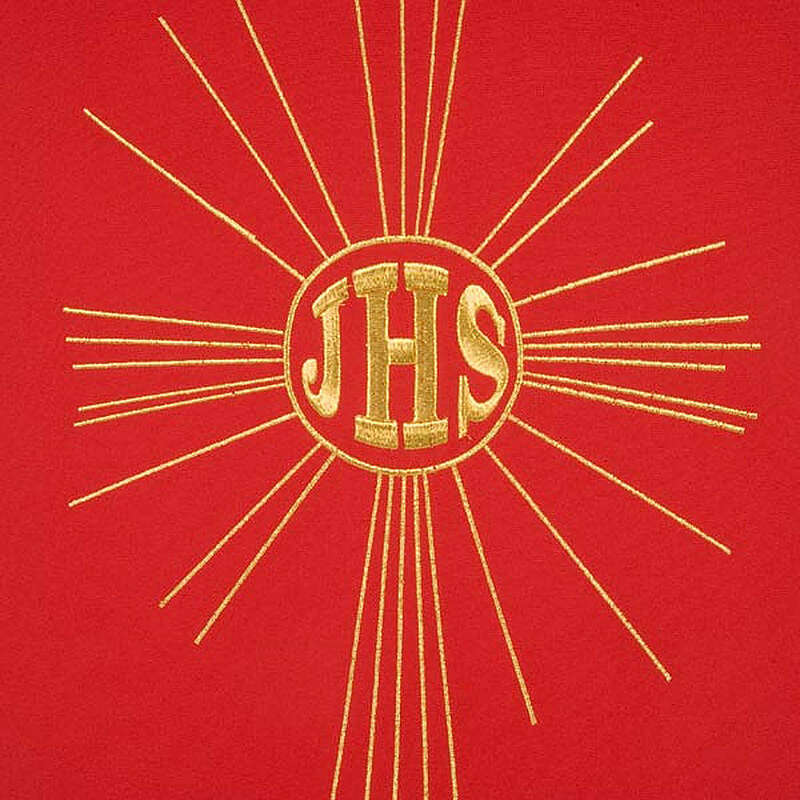 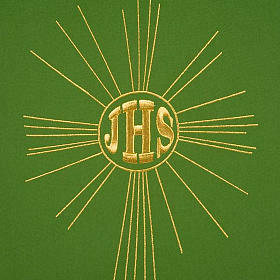 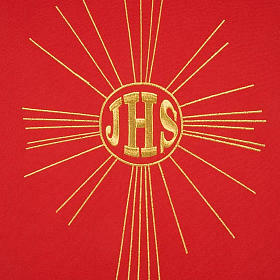 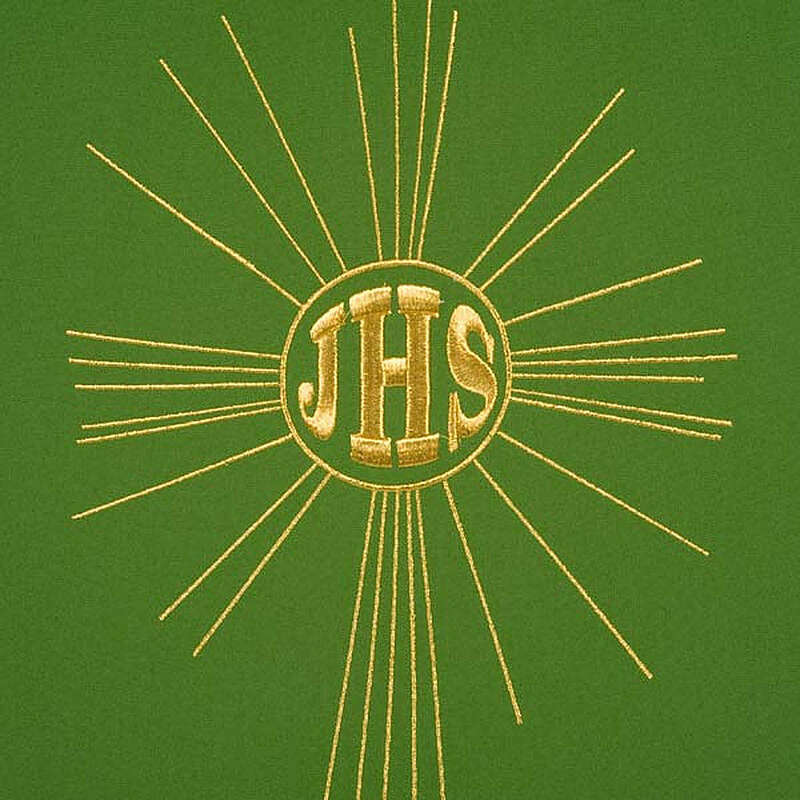 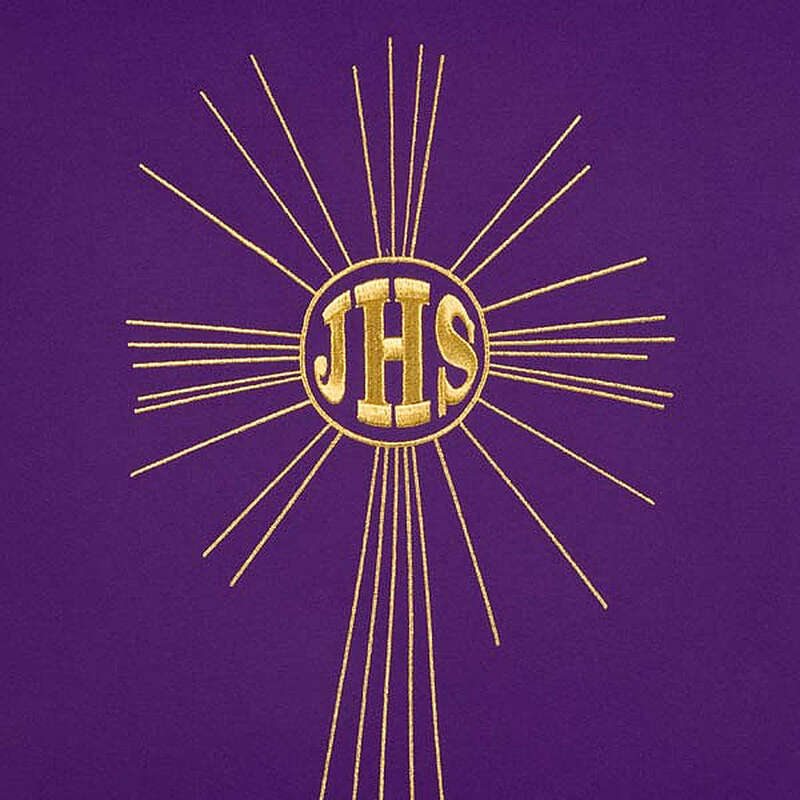 Pulpit cover, embroidered on front with IHS symbol and halo of rays. 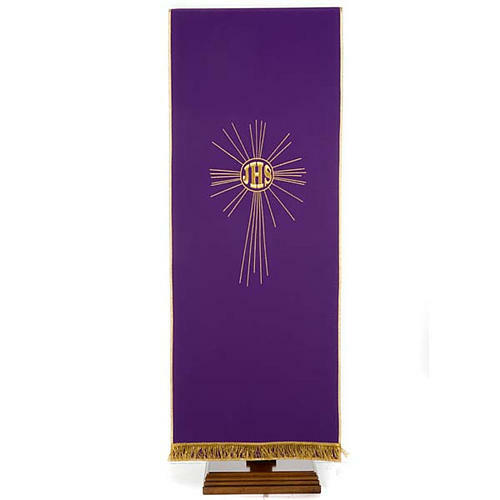 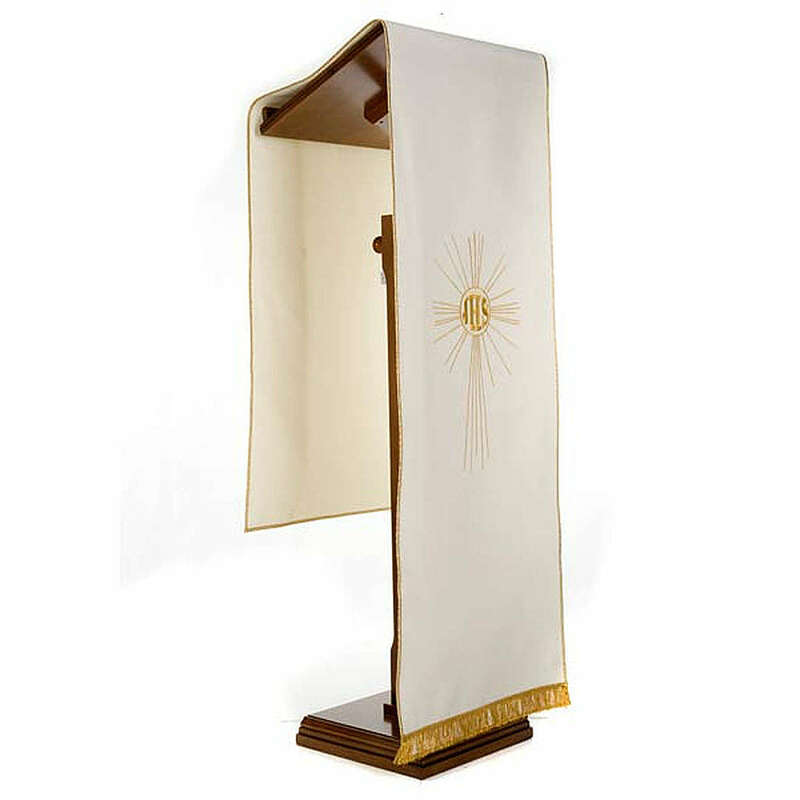 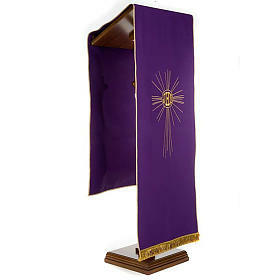 Pulpit cover made in Italy finely machine embroidered on an elegant and strong polyester fabric. 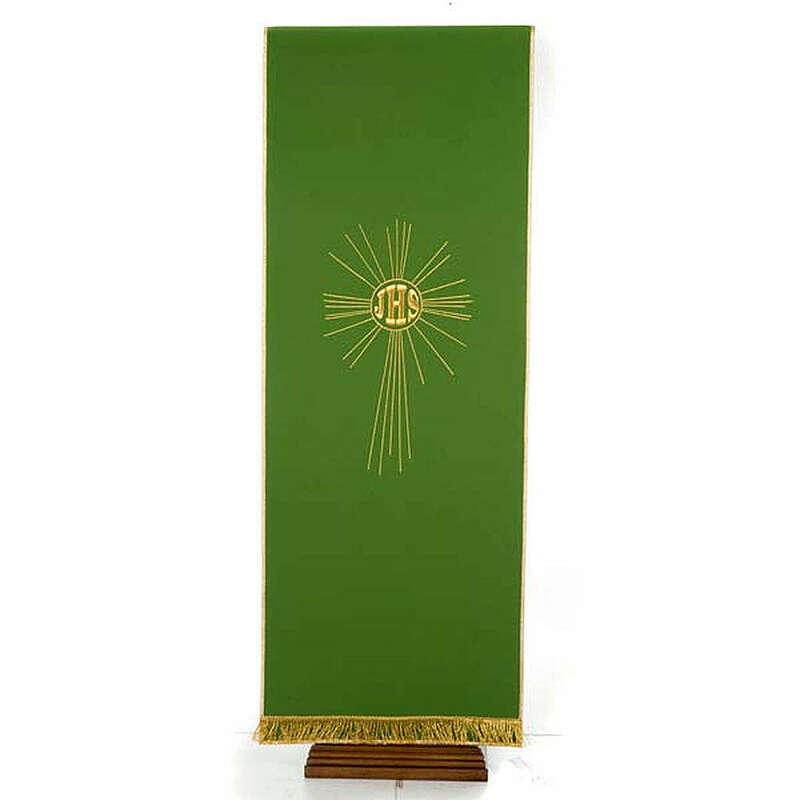 High quality product, suitable for decorating pulpits and churches.